I get lots of reasons, from the students and clients I encounter, for wanting to come to me for voice over training. Some are really direct, such as acting and storytelling as a passion, for some VO artists. But there’s another, extraordinarily beneficial reason to get voice training. It’s simple. 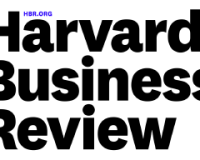 And it’s what Harvard is known for instilling in its graduates: being a better leader, in whatever you do: work, school, home life. And in our cases, in negotiations, auditions and studio sessions. 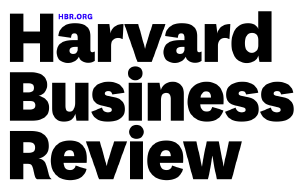 Here’s what Harvard Business Review had to say about it with this little gem I found in an article on power priming, a fascinating subject in itself (with thanks to Betsy for bringing this to my attention). Finally, working with researchers from San Diego State University and using rigorous acoustical analysis, we learned that power priming can even alter one’s voice. for independent parties, they identified those primed for power as sounding more authoritative. Analysis of Margaret Thatcher’s voice before and after she became Great Britain’s prime minister (and reportedly after voice coaching) showed the same change. Like our study participants, she maintained a steadier pitch but shifted between loud and quiet more often as she gained authority and status. So the VO training you get from VO2GoGo is not just for VO. It’s for acting, for presenting, for selling, and also for being seen as a leader. And when I ask you in class to slow down, or to enunciate more clearly, or to let the words live a full life, or to tell me a more interesting story, it’s not just so that the audience can understand you better. It’s also so they gain even more respect for you and your talent. It’s so they regard you as a leader. Insightful perspective. Thank you David.